Before heading for the saturday’s schedule, a little more than the main thing to be focused on at the beginning of the season. First of all, it is the annual statute and its changes compared to previous years. Changes are indicated and colored in green. One of the most important things is an extended race day, as we already know this season in the Latvian Championship run Tek or electric karting class. It is also planned that the DD2 youngsters and the DD2 Master will be on separate drives, as a very high number of participants is expected. If the expectations is not fulfilled and if possible (all classes will have fewer than 34 participants together), these classes will be combined as before to save time. We also invite all participants and teams to understand, because they will be the first season of the race with the new agenda and, of course, there is a chance that everything will not be as smooth as it is planned. Some of the key points to focus on is to have an athlete license, a registered start number, and understand the changes to the rules, mainly focusing on the rules for front spoilers and tires. Also, in the light of the new Personal Data Protection Regulation, it should be understood that during the competition, it will be shot by camera and photographed. Since it is impossible to control whether one of the persons will be captured in one of the frames and want to remain anonymous, it is better not to attend this event, or to count on being featured in a video or photo format. 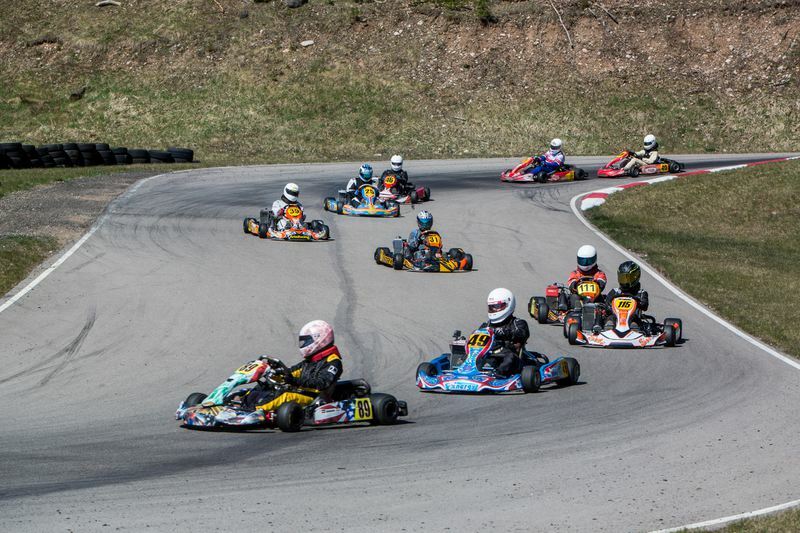 In the first season of the season there is also a Retro class or historical karting. This year we will see the track in Madona, Kandava and the final stage of the season in Jelgava. It should be noted that the registration of participants, the technical commission and the issuing of tires will take place on saturday from 8:00 - 9:00, followed by a meeting of participants. We remind you that attendance at the meeting is compulsory. The venue for participants is open on thursday 24.05. from 08:00. Places for participants are allocated only to competitors. Places are not booked in advance. The competition organizers will award them in accordance with the order in which the participants arrive on the site. Also, participation in the award ceremony is compulsory. Total planned duration of the race 26.05. and from 8:00 am to 20:00 pm. Apart from live streaming from the competition, all the results of the race in online mode will always be found here www.results.lv. In turn, they will be published on the www.prokart.lv page under the section "Races". As well as the race, commentators and backs of the athletes will always be able to follow the Facebook page www.facebook.com/Pro-Kart. If you have any questions or uncertainties, please write to prokart@prokart.lv or on our Facebook page www.facebook.com/Pro-Kart or call Valdis Brutāns! Also, a big request for all sportsmen this season - to inform about their forthcoming competitions outside Latvia and their results - Pro-Kart spokeswoman Sabīne Leingardi / e-mail: sabine.leingarde@gmail.com / 28355507 or LAF press secretary- Kristine Pavlovska / e-mail: prese@laf.lv / 28344187. For everybody to have a good coach and get on the track on Saturday!